It is an unfortunate and well-documented fact that Montreal hospitals experience overflow in their emergency departments. The sources of this problem are many and complex and work­ing solutions are all too rare. However, at the Lachine Hospital, staff took the bull by the horns to turn the tide. The result, so far, is that patients are staying on emergency stretchers for shorter periods of time, and those who are hospitalized get their care — and their discharge — faster. In addition, the emer­gency department is able to receive a hundred more patients arriving by ambulance every month, which helps to reduce the pressure on other emergency rooms in the city. How did this happen? 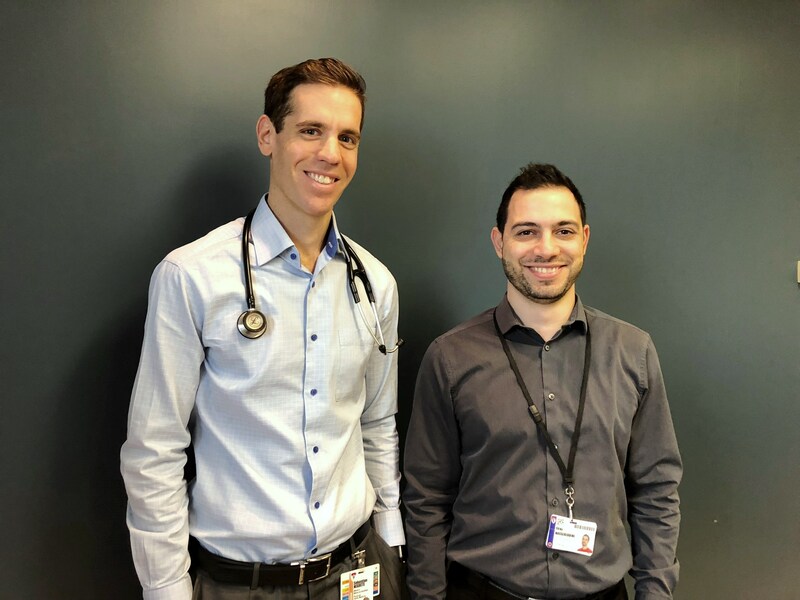 “We have introduced a series of small changes that have each saved a little time,” says Firas Nassereddine, head nurse and emergency and intensive care unit coordinator at the Lachine Hospital. “And that ends up making a big difference,” he says. These “small changes” were far from random, but a result of the analysis of various issues explored by representatives of different departments of the hospital, in collaboration with the MUHC’s professional services department, and with the contribution of patient-partners. The review process is a detailed examination of the actions taken by participants in all sectors in order to activate the chain of care and services for the benefit of the patient. 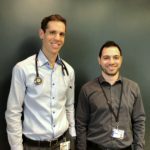 “Almost two years ago, we started to review the processes inherent to admissions and the reorientation of internal pa­tients (between different departments), as well as study the time taken for an admission, the waiting time to see a care professional and the impact of these delays on the patient’s stay,” explains Firas. “We also set up a daily meeting to try to better manage everyday issues,” he adds. A multidisciplinary committee was then created to improve the flow of patients. This committee meets once a month and includes, in addition to Firas, Dr. Andrei Liveanu, Chief Medical Officer of the hospital, Dr. Sebastian Negrete, co-chair of the committee and representatives of nursing and multidiscipli­nary services, as well as patient-partners. This forum makes it possible for everyone to share their point of view, target improvement opportunities and learn from the patients who participate in the committee. The Lachine teams found discrepancies when comparing average length of stay (ALOS) statistics with those of other hospitals and with best practices described in the literature. Hospitalizations seemed to last longer than necessary. “To relieve emergency rooms, the central issue was to increase the turnover on the floors [in the care units] to be able to send patients from the emergency department to treatment more quickly,” says Firas. In order to reduce ALOS, a target hospital stay was determined for each type of case or reason for hospitalization, based on known data. Upon admission, a target discharge date is allocated. Specialists, liaison nurses, social workers and all those concerned know that this target is in the best interest of the patient, so they do what they can to achieve it. Obviously, patients are hospitalized as long as they need to be, regardless of the target date. This measure encourages staff to optimally coordinate care and avoid wasting time. The Lachine Hospital welcomes many elderly patients with loss of autonomy. Many of them no longer require acute care, but stay in the hospital due to lack of space in a long-term care facility. In spite of themselves, these patients occupy beds that should be offered to other patients in need of care. The term “alternative level of care” (ALC) is used to refer to the status of those patients who occupy a bed but do not require the level of services provided in the unit of care where they are located. “In Lachine, before we looked at the issue, a dozen beds were continuously occupied by patients with ALC status,” says Firas. “This has led MUHC management to be more comprehen­sive with the handling of ALC patients, to free up more beds in Lachine and to treat more emergency patients, more quickly,” explains Firas. All of these changes have allowed the hospital to become more efficient.